Why it matters: Fossil's new Sport Smartwatch is the first affordable Wear OS device powered by Qualcomm's Snapdragon Wear 3100 platform. Consisting of four A7 cores, a digital signal processor and an ultra-lower-power co-processor in a big-small-tiny configuration, the new chip is expected to delivery much better battery life compared to Wear 2100-powered devices. Fossil this week launched its first smartwatch powered by Qualcomm’s new Snapdragon Wear 3100 platform. German luxury goods maker Montblanc was the first to market with a Snapdragon Wear 3100-powered smartwatch. Its Summit 2, announced in October, retails for $995. Fortunately, you won’t have to pay nearly as much for Fossil’s wearable. The Fossil Sport Smartwatch runs Google’s newly redesigned Wear OS and is compatible with both Android and iOS smartphones running Android 4.4+ and iOS 9.3+, respectively. Available in six colorways with two case sizes – 41mm and 43mm, it’s compatible with a wide range of strap options – both 18mm and 22mm sizes – and packs a 350mAh battery that delivers “24+ hours battery life (based on usage) + 2 additional days in battery saver watch mode” as well as 4GB of onboard storage. 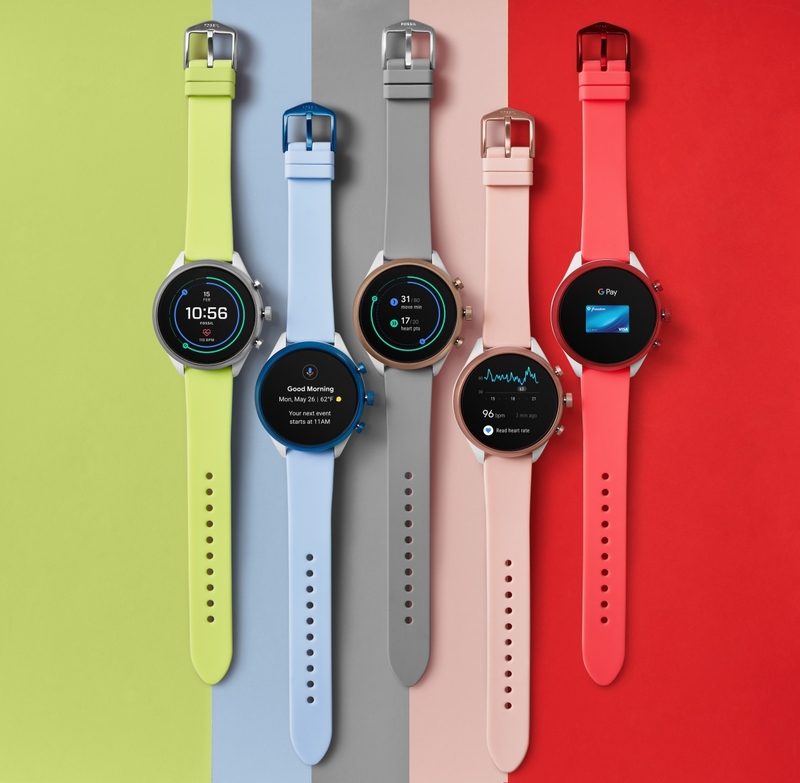 Fossil’s latest features the usual mix of sensors including heart rate, NFC, accelerometer, gyroscope, altimeter and ambient light as well as a microphone, Bluetooth connectivity and wireless syncing + magnetic charging. It’s also swimproof as it carries a water resistance rating of 5 ATM meaning it can withstand pressure equivalent to a depth of 50 meters. The Fossil Sport Smartwatch is available to purchase online for $255. It’ll be available in retail stores worldwide come November 12 and comes backed by a two-year limited warranty.